Hindsight is always 20/20. Over 2,000 years ago the pressing question for a group of Jesus-worshiping ladies Sunday morning was, “Who will roll away the stone for us?” (Mark 16:3) It was a great question. They wanted to anoint Jesus with spices to show honor and respect to Him but they didn’t know how they were going to get to Him. If you have ever seen a rolling stone tomb from the first century (picture to the left), you can immediately feel their anxiety. Joseph of Arimathea had rolled the “great stone” to the entrance of the tomb (Matt. 27:60), and they had watched him do it (Matt. 27:61). The flat stone blocking the entrance would have been on a sort of rough “track” so it could be rolled back and forth as needed, as most of these expensive tombs would have entire families buried there. But it was a large stone–probably even with a mechanism to make it harder to open than it was to close, as was common–and these women, going alone early in the morning, were not sure they could budge it. However, there was an even more daunting problem that they may have been unaware of. On the Sabbath, the day after Jesus had died and was buried, chief priests and Pharisees had received permission from Pilate to use Roman soldiers to not only guard the tomb, but also to seal it (Matt. 27:66). The religious leaders were concerned with somebody stealing the body and lying that Jesus had risen. Those leaders were preoccupied with somebody going into the tomb, when they should have been preoccupied with Somebody coming out. Meanwhile, for the women the question remained as they walked there together that morning: “Who will roll away the stone for us?” But then it happened. There was a great earthquake. An angel of the Lord descended from heaven and rolled back the stone for them–and us–to see that Jesus had indeed risen from the dead! This rolling away of the stone was so powerful and dramatic, and the appearance of the angel was so radiant, that the soldiers commissioned with guarding the tomb fainted (Matt. 28:3-4). Large stones are heavy. Guarded, sealed tombs are impenetrable. But they can’t contain the risen Christ! If you will allow me to help you apply this without being overly metaphorical, what is the stone in your heart right now? What is it that is getting in the way of your saving belief in the risen Christ? Assuming that you know Him as your Savior and Lord, what is it that is currently getting in the way of you living like your King truly is the risen and reigning Jesus? 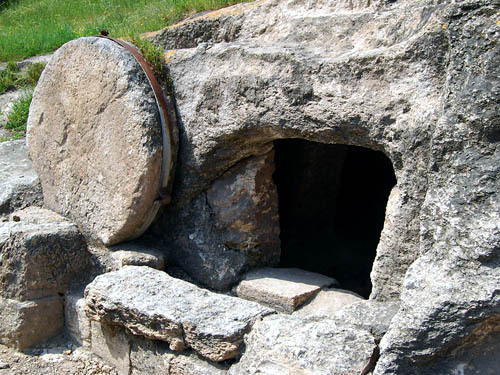 Ask the Holy Spirit right now to help you see past the large stone and into the empty tomb. 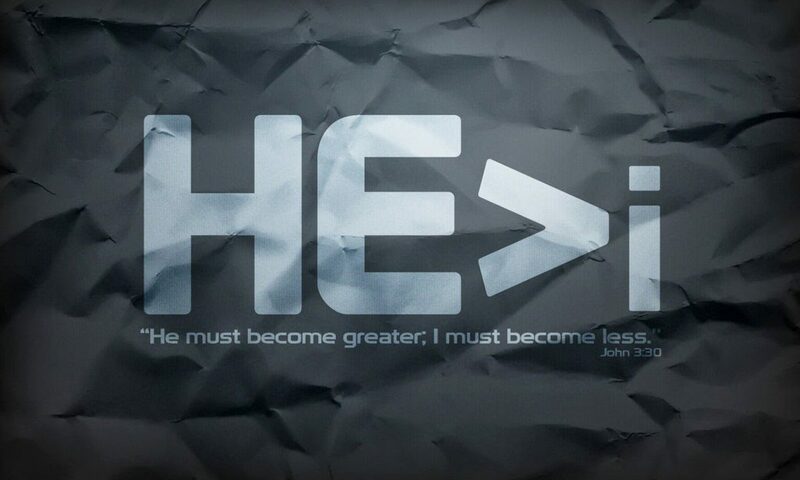 For Christ is risen, He is risen indeed! Next PostNext Do You Tremble at God’s Word?